Valentino’s rose has now unveiled itself into a fragrance with an exquisite, potent distinctiveness: Valentina Rosa Assoluto. Valentino has composed a modern bouquet in which Taif roses have wov.. 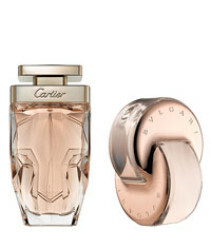 Description: This unique feline-floral was created by Mathilde Laurent, Cartier’s in-house perfumer. For the floral side, she chose to explore the majestic, radiant gardenia for a sensual and del.. Description : The new fragrance is chic, elegant and energetic floral - fruity. The creation is signed by perfumer Michel Almairac. The composition opens with fresh notes of bergamot, apple blosso.. The floral - fruity composition starts with juicy accords of raspberry, pomelo and passion fruit. The heart is a floral bouquet of gardenia, heliotrope, sweet pea and rose de mal. The base consists o.. DESCRIPTION : The composition is made of two kinds of accords; the first one consisting of white petals, rose and pink pepper, while the other is more sensual and warm with Siamese benzoin, Virgin..
PACO RAB LADY MILLION NBC EDP 80ML..
Valentino launches a new edition of the Valentina collection. In April 2015, Valentina Pink, a new floral-fruity-gourmand scent, comes out. The collection includes the original Valentina from 2011, V..